OpenTable compiled a list of the 100 best brunch restaurants in America just in time for Mother’s Day! If you dine at any one of these restaurants let us know how you liked it and what your favorite dishes were! Happy Mother’s Day! In celebration of Mother’s Day, the most popular day to dine out for brunch, we’re excited to reveal the 100 Best Brunch Restaurants in America. These awards reflect the combined opinions of more than 5 million restaurant reviews submitted by verified OpenTable diners for more than 20,000 restaurants in all 50 states and the District of Columbia. From restaurants serving traditional dishes and lavish buffets to those making fried chicken and waffles and plant-forward fare synonymous with brunch, the complete list features winning restaurants in 26 states and Washington, D.C., and includes Balthazar in New York,Gracias Madre in West Hollywood, and Yardbird Southern Table & Bar in Miami Beach. New York, arguably the birthplace of brunch as we have come to know and love it, comes out on top with 20 winning restaurants, followed by California with 16, Maryland with nine and Illinois with six. Pennsylvania and Washington, D.C. boast five apiece, while North Carolina and Texas have four each. Florida, Georgia, Louisiana, and Virginia all have three winners, and Massachusetts, Minnesota, Missouri, and Oregon have two each. Arizona, Colorado, Hawaii, Kansas, Michigan, New Mexico, Ohio, Oklahoma, South Carolina, Tennessee, and Washington state are also represented. American fare, which is closely associated with local farm-to-table ingredients, is extremely popular at the winning restaurants, as are French and seafood-driven menus. However, a variety of cuisines are present including dim sum, Creole, Hawaiian, Latin/Spanish, Low Country, Mexican, and vegetarian. Check out some of the tastiest brunch dishes from the winners in our slideshow below. 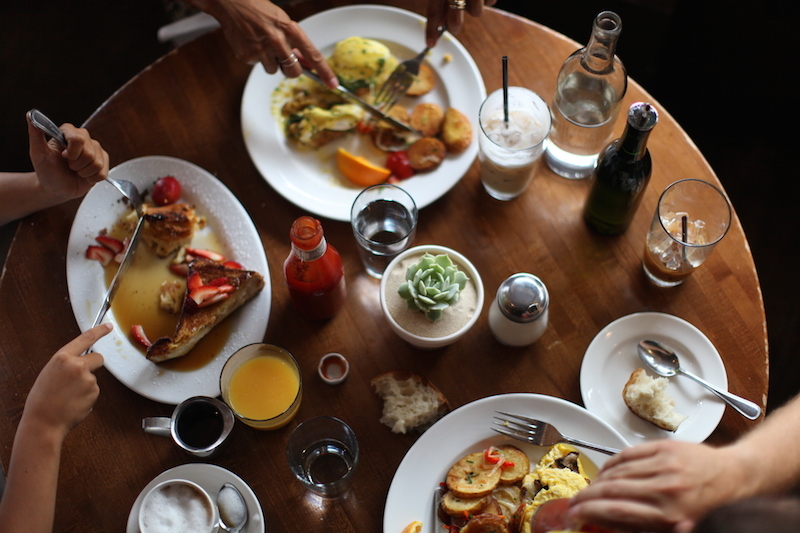 Based on this methodology, the following restaurants comprise the 100 Best Brunch Restaurants in America according to OpenTable diners. The complete list may also be viewed at http://www.opentable.com/m/best-brunch-restaurants-in-america-2016. And, don’t forget to make a reservation to celebrate the mom in your life on Mother’s Day!